Another DC Comics drama might be coming to The CW -- this one based on the characters of Doctor Thirteen and his daughter Traci. 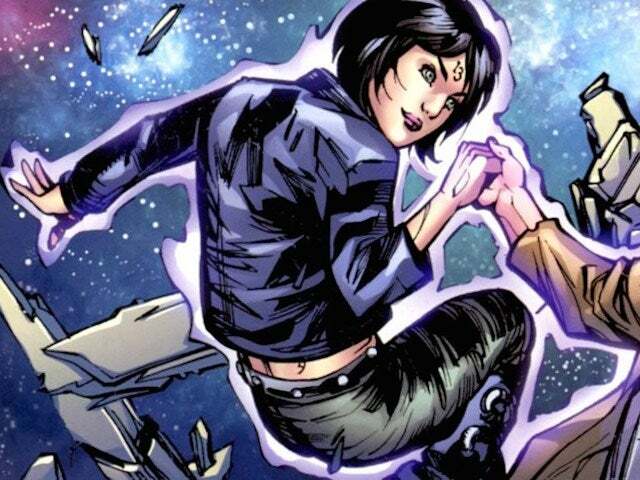 Traci Thirteen in the comics first appeared as a supporting character in Superman. She is a young superhero (who occasionally used to drift to the dark side) who believes in the supernatural and eventually discovers her own latent extra-sensory powers. Her father, Dr. Terrence Thirteen, was created in the 1950s. He is a skeptic who constantly finds himself caught up in supernatural events while trying to debunk them. According to Variety, who broke the story, Project 13 "would center on Traci, a twenty-something forensic scientist and believer in the paranormal who discovers her own hidden extra-sensory abilities when she joins her estranged, skeptic father to investigate mysterious cases of the paranormal and unexplained phenomena." After a lengthy hiatus from publication, the Thirteens appeared again the mid-2000s and have been a staple at DC since. Traci was briefly a hero who operated out of the American Southwest and dated Blue Beetle Jaime Reyes. Currently, she is in a relationship with Natasha Irons in Superwoman. Daegan Fryklind will serve as the writer and executive producer on the project. Elizabeth Banks, who is currently the big name behind the project, will produce along with her Brownstone Productions partner Max Handelman. Had it not been cancelled by NBC, the first season of Constantine would have featured Dr. Thirteen, who was featured in one of the scripts that the network ordered but never produced. There is no indication in the original story that Project 13 will or will not be a part of DC's shared "Arrowverse" of shows on The CW, although given the lack of involvement by Arrowverse maestro Greg Berlanti, it seems unlikely. In early 2018, The CW will debut Black Lightning, which at present is not tied to the Arrowverse either. After the announcement of Black Lightning, CW chief Mark Pedowitz indicated that the network was not interested in pursuing any more DC properties. DC's current CW slate includes Supergirl, The Flash, DC's Legends of Tomorrow, Arrow, and iZombie at The CW, while CW Seed -- the network's all-digital sister network -- has animated series Vixen, Freedom Fighters: The Ray and Constantine.